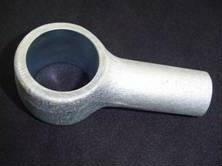 KDK produces the forging portion of stabilizer bars which are a vital component of the ride control system. They can also be called anti-roll bars. There are many variables involved in the design of a stabilizer bar. Forces in vertical and horizontal directions can be corrected with the use of a stabilizer bar. They function to keep the car flat during turns or over bumps and in general improve the ride control. The configuration of the stabilizer bar depends on the vehicle and KDK is able to make a custom configuration based on our customer's needs. 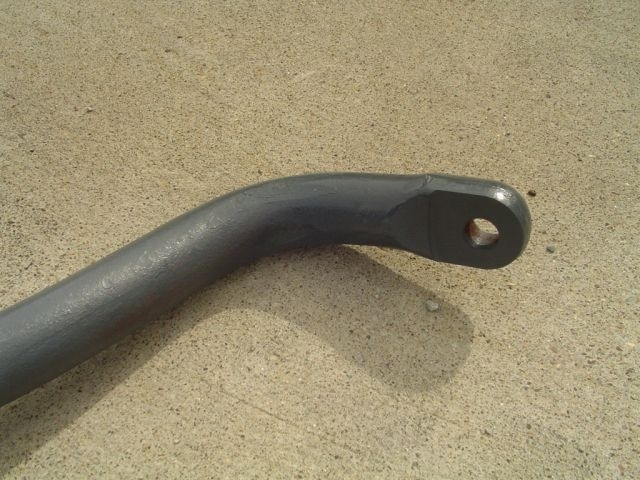 Stabilizer bars are typically heat treated and bent to the customized configuration after forging. They can be made from a variety of materials and can be sawed or sheared before processing. KDK is well aware of the characteristics that are needed in order to manufacture a quality stabilizer bar. The upset forging process adds strength to the steel because the grain flow structure is improved. Stabilizer bars can be shipped to you in returnable containers or can be shipped in disposable corrugated containers. KDK will make a custom die for you stabilizer bar needs. Please send us a copy of your drawing and we will be happy to review your part and send a quote to you. This should list KDK Forging's experience in delivering quality socket products. Alternatively we can have a case study of any one of your clients for whom you have developed this specific product. KDK sockets are used in many industries including these: automotive, off-highway, agriculture equipment, earth exploration, utilities, food preparation and industrial tools.